Primary education is an integral part of society and is one of the most important parts of a child’s development. With this in mind, Vetro Education has a key focus on recruiting only the best Teachers and Teaching Support staff across South Wales. This ensures that we can support Primary Schools to maximise the potential of children in education. We cover a wide variety of roles within Primary schools such as Teacher, Teaching Assistant, Learning Support Assistant, Cover Supervisor and School Management positions including Headteacher and Deputy Headteacher. 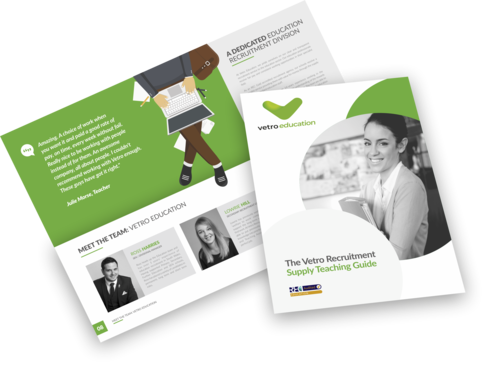 Our team at Vetro Education has a combined experience of over 25 years in the recruitment and Education sectors. We will work hard on your behalf to find the role that fits with your lifestyle, goals and aspirations. We are always looking for hard-working, reliable and committed Teachers, Teaching Assistants and Cover Supervisors to join the Vetro Primary Education team. If you can't see the job you are looking for, please give us a call on 02921 660880, and one of our specialist team will be able to discuss exactly what you are looking for. Follow us on Facebook, Twitter & LinkedIn for our latest Primary School jobs, blogs & industry-specific news. Visit our blog for the latest Education news, views and sector updates.